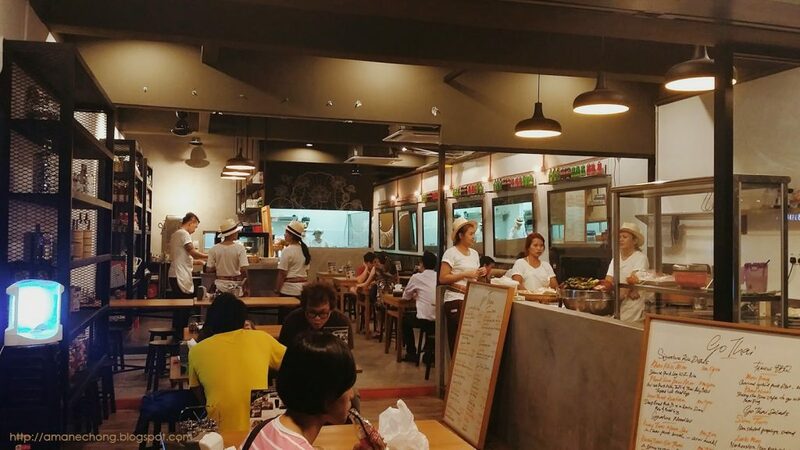 SS2 is known to be a food haven and eateries are aplenty here. 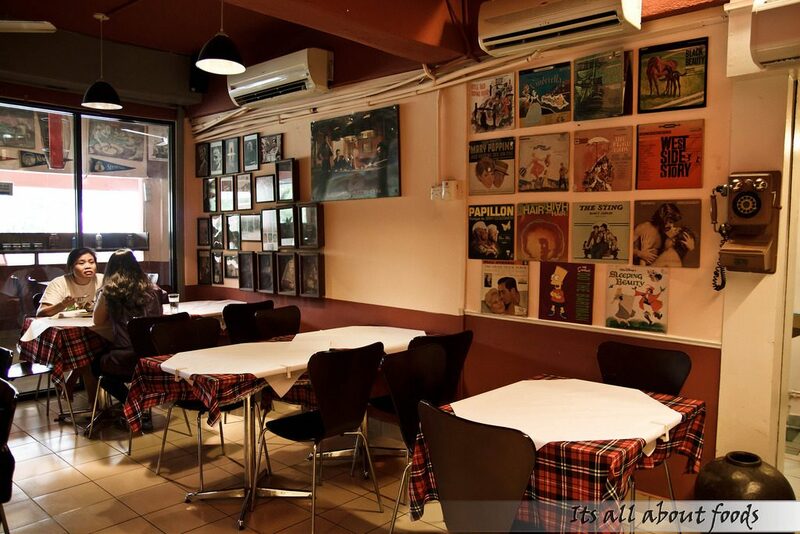 Along with the host of restaurants and cafés, there are also a multitude of dishes to choose from. Sometimes, skimming through their menu alone would be enough to give one a headache because we would most certainly be spoilt for choice. Trying out their signature dishes would then be a safe bet. 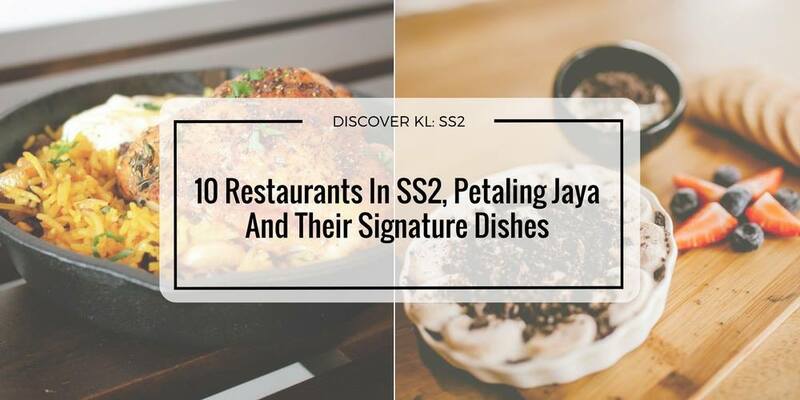 Here are 10 eateries in SS2 and their signature dishes as per what’s recommended by past guests. Standing Theory has a pretty colourful interior with pops of bright yellow and orange that somehow blends well with the muted gray background. They have gone for simple, fuss-free decor instead, letting their meals speak for itself. 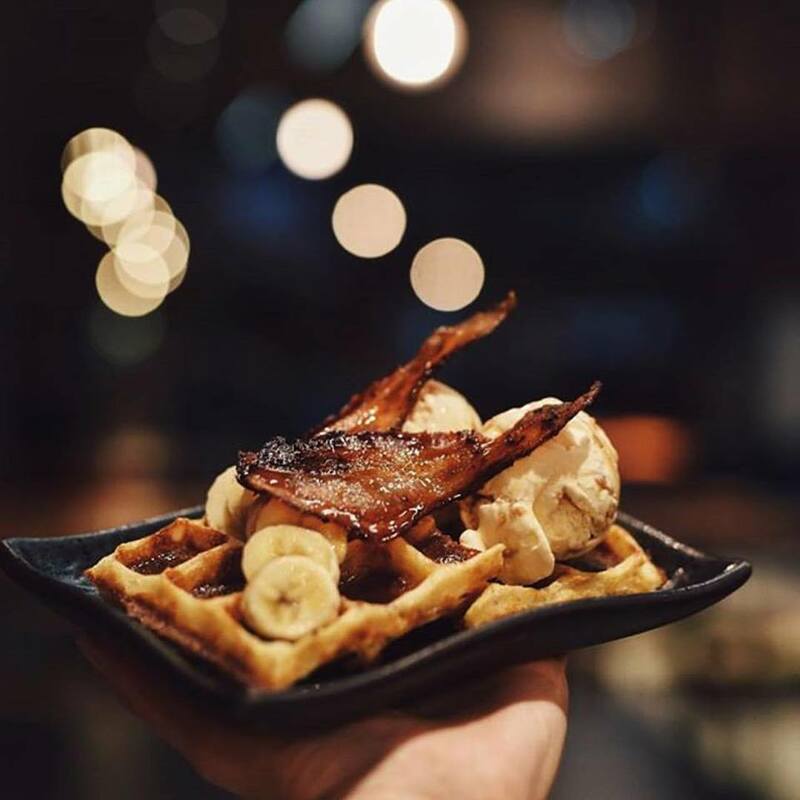 This eatery stands by their theory of how bacon would go well with waffles and banana although the concept may sound odd. However, the sweetness from the fruit actually complements the crispy bacon well. If you want something equally as unique, the lychee and fried mushroom would be a good choice. Don’t knock it till you try it. Hours: 11am-11pm, daily. (Closed on Mondays). 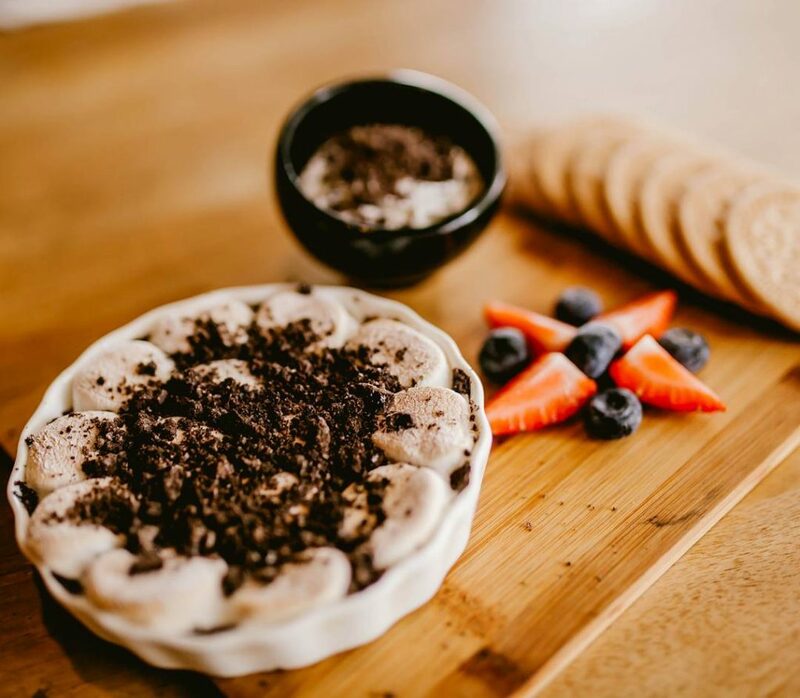 Coffee Me Darling is perfect for dessert lovers. 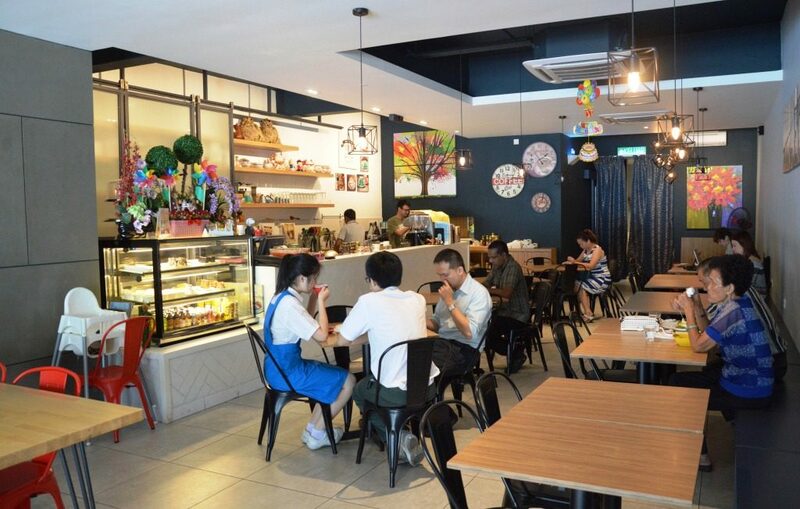 This breakfast and brunch place specialises in meals for those with a sweet tooth. One example of a dish would be the s’mores. It features warm, gooey marshmallows decorated in the shape of a cake. Opt to scoop some of it with the crackers provided. 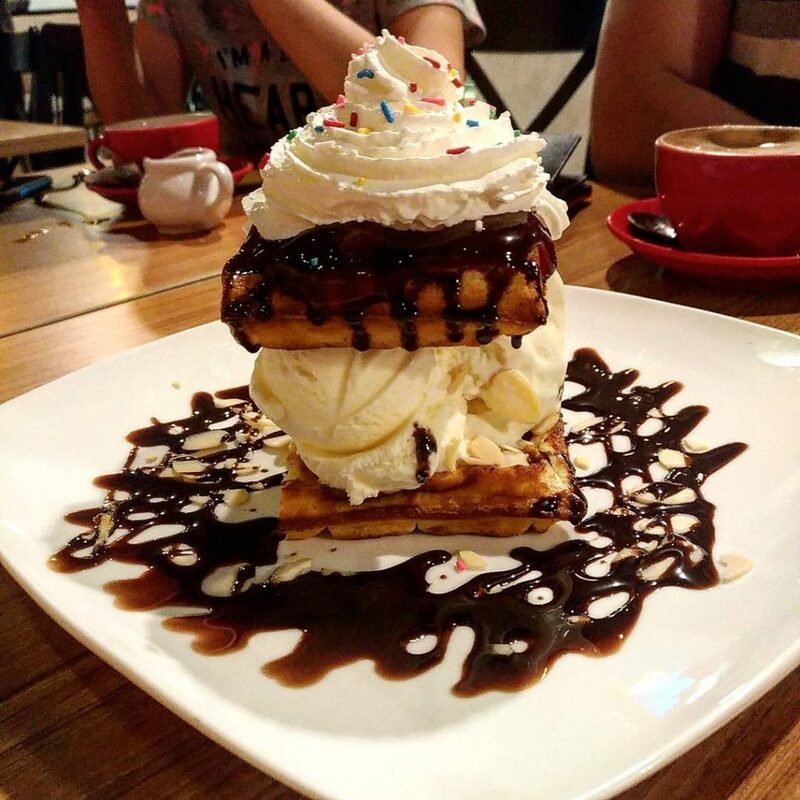 The next dessert to try here is their ice cream waffles which a huge serving of ice cream, complete with whipped cream on the top. The desserts here certainly feels like a meal in itself. Hours: 10am-12am, daily. (Closed on Tuesdays). 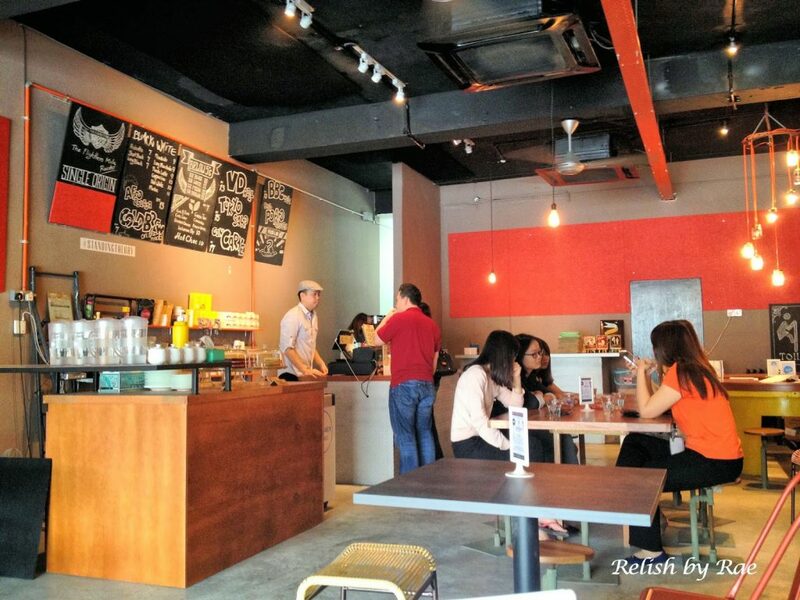 Did you know that Attic Brew Café is actually a pet-friendly café in Petaling Jaya? The setting itself is enough to make any customer and their pets feel comfortable and want to spend several hours there. 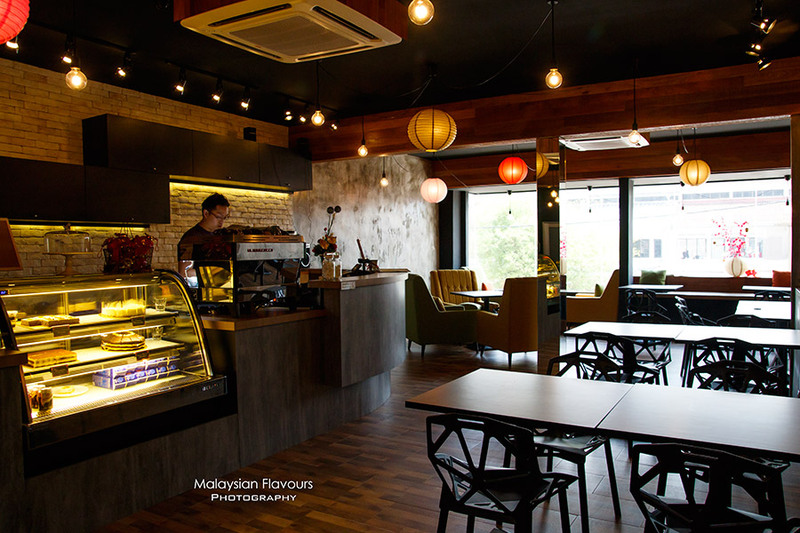 They have a predominantly brick-like interior with some minimalistic decor as well. 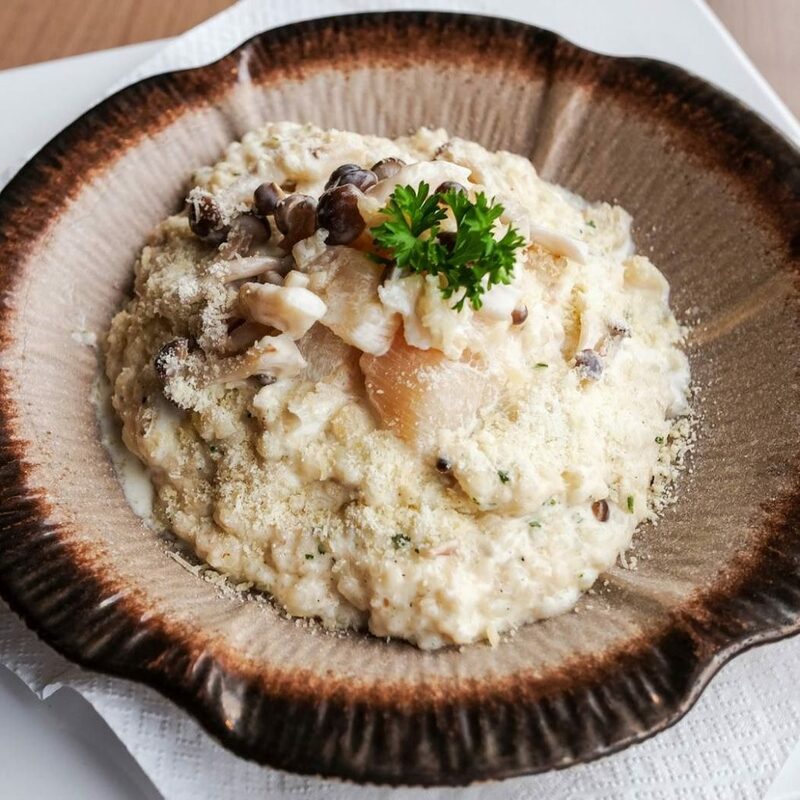 As for meals, the seafood risotto at Attic Brew is soft and creamy and it is complemented by scallops, crab claw meat and shimeji mushrooms. 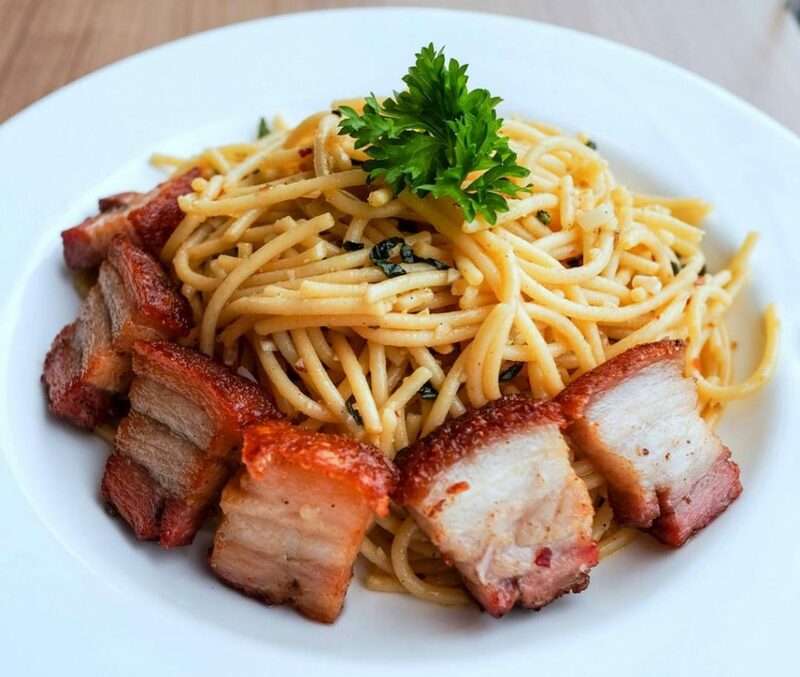 Besides the seafood, you should also order the Siu Yok (roasted pork) with Thai Basil Aglio Olio. It is a simple dish packed with flavourful herbs and a good dose of protein from the meat. Hours: 12am-12pm, daily. (Closed on Thursdays). 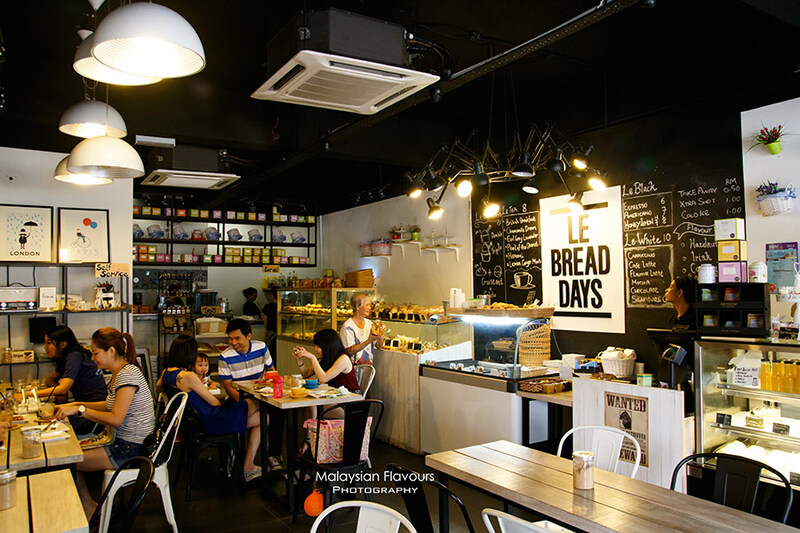 The interior of this eatery mimics a classic French bakery and it is spacious enough to house many guests at any one time. 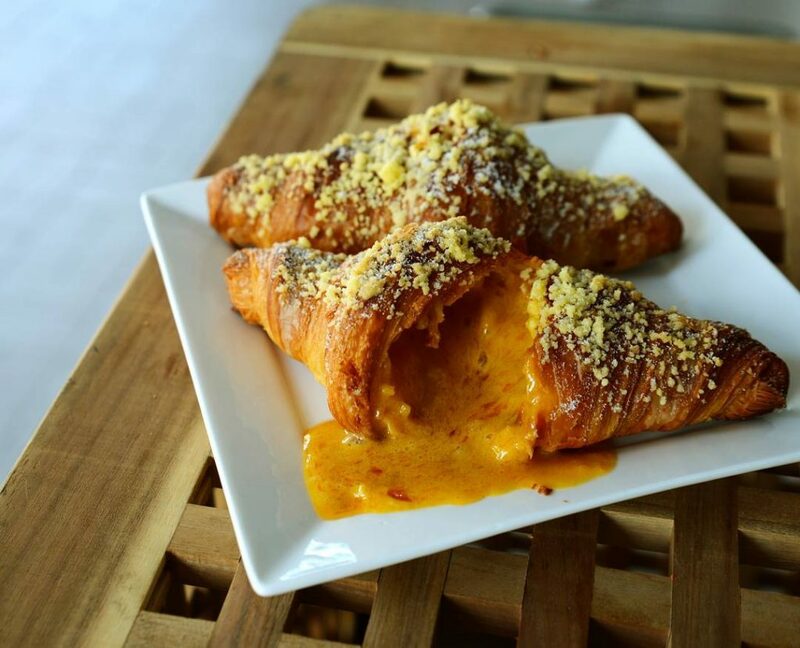 When it comes to food, they have mastered the art of making flaky and crunchy croissants. Their salted egg yolk croissant is definitely a big hit due to how gooey the filling is and it complements the crispy dough’s texture. 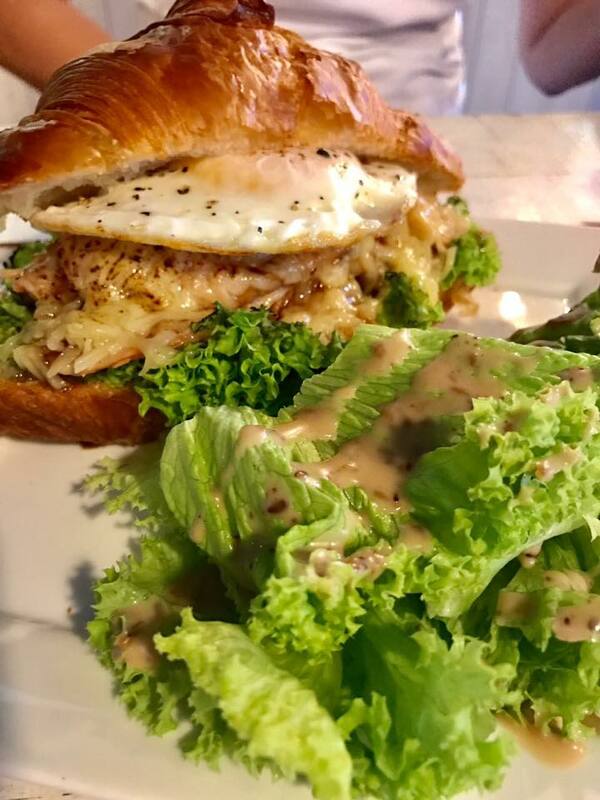 If you’re looking for something more filling, their Teriyaki Chicken Croissant can be considered. It is creamy and filling at the same time. 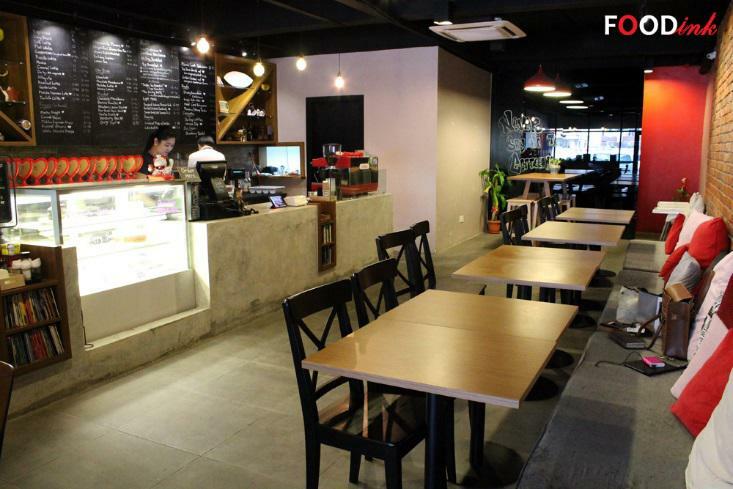 Wake Me Up café has a chilled out vibe perfect for hangouts. 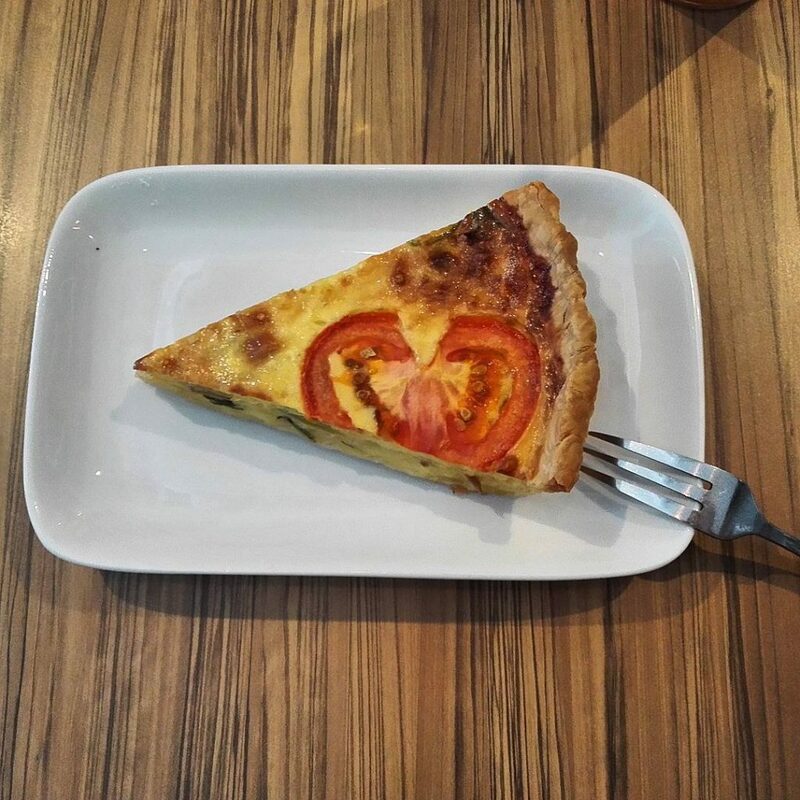 They serve up a scrumptious quiche appetiser which is simple yet tasty. Portion size-wise, it is not a pitiful serving but in fact is a pretty large size which can be eaten by one or shared among 2 people. 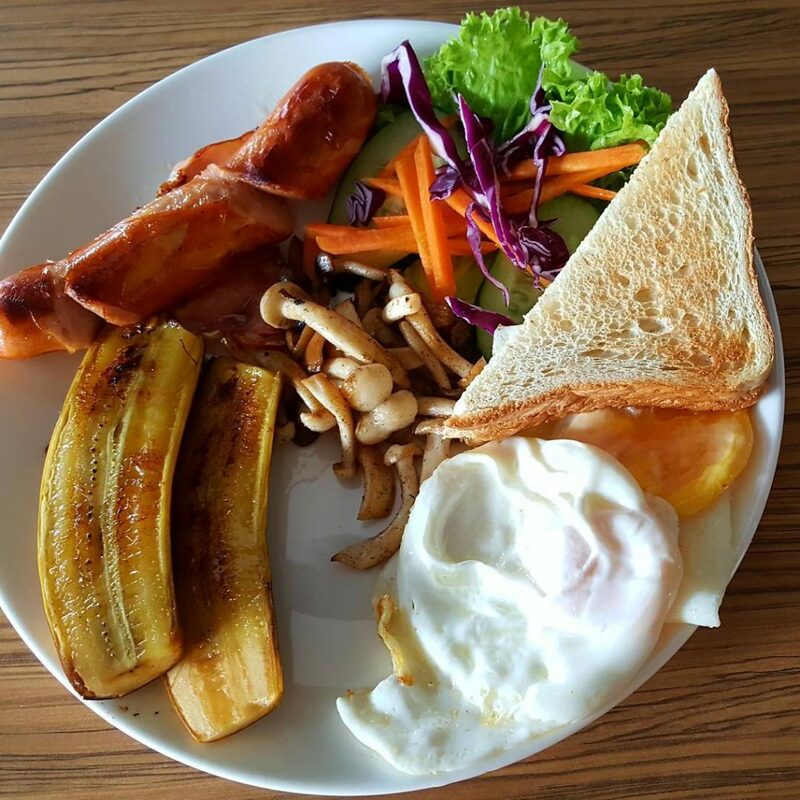 As for their Wake Me Up breakfast, it is the ideal early morning meal packed with plenty of protein, vegetables and even fruit, to keep you going for the entire day! Hours: 8.30am-10.30pm, daily. (Closed on Wednesdays). 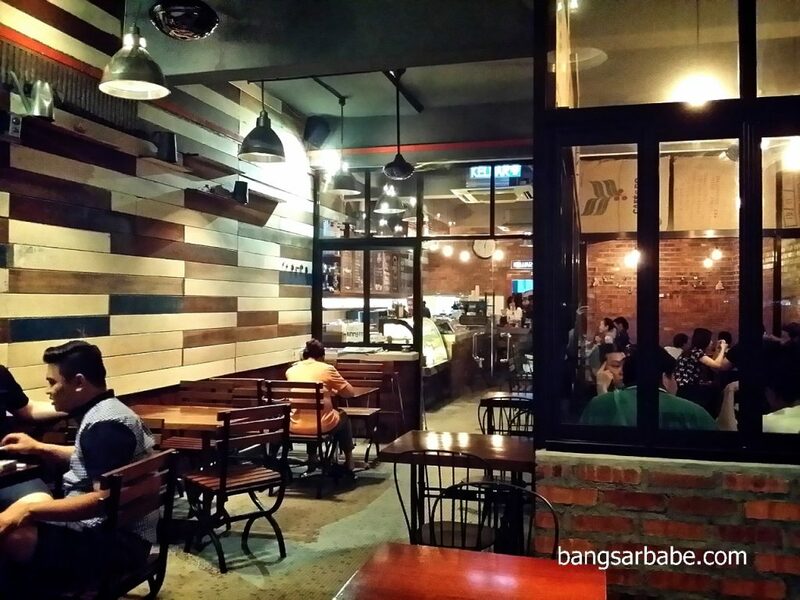 Rekindle has an industrial feel to it, what with its brick walls and hipster decors. 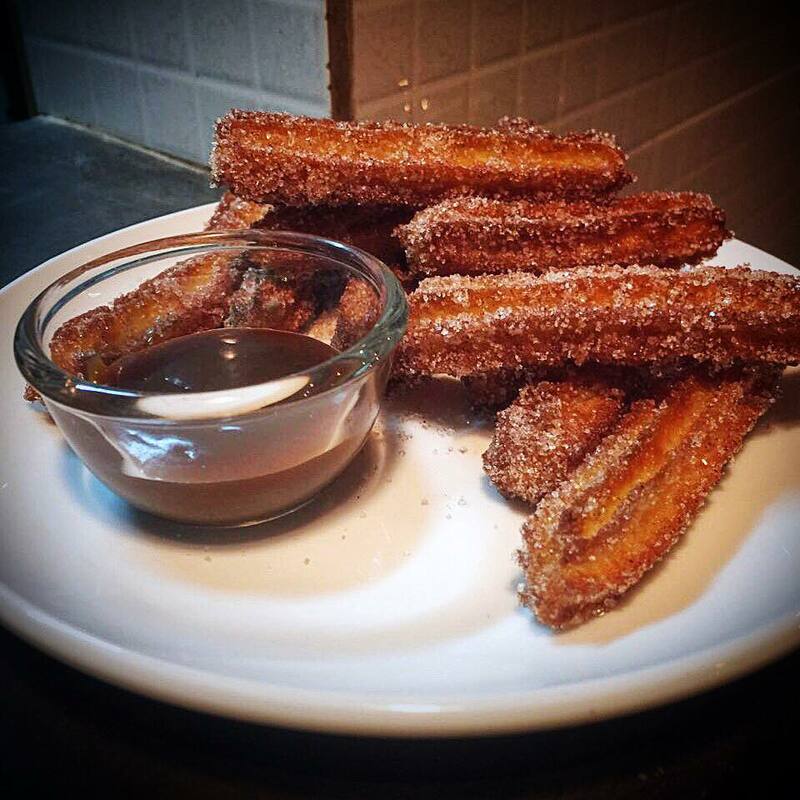 Their homemade churros with chocolate or caramel dipping sauce would be a great starter before venturing to their cakes. Rekindle is famous for their tasty and unique cake flavours and personally, I would say that all of their cakes are their signature dishes due to how classic yet unique tasting it is. For example, there’s the watermelon vanilla cake, salted cookie caramel, classic red velvet and nutella hazelnut cake. If you’re spoilt for choice, just kindly ask the wait staff and they would point you to one. Hours: 12pm-12am, daily. (Closed on Mondays). Interestingly, PS Tokyo has a very minimalistic vibe, with only simple furniture and lighting. What stands out most would be the grilled frame where you can get your photos printed with their hashtag and hang it up. Thus far, it has been beautifully decorated by pictures of past guests and you can add your very own onto it as well. 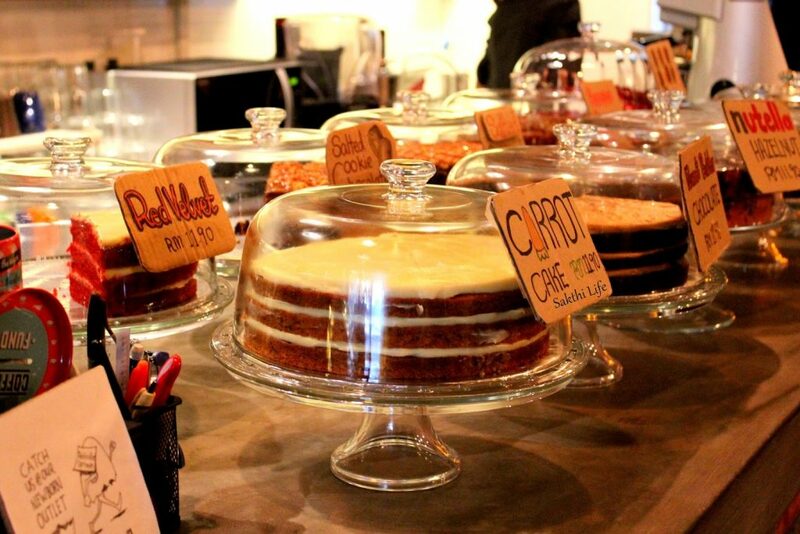 When it comes to food, their soft serve ice cream and cakes are their signature dishes. Basically, if you are looking for heavier meals, this wouldn’t be the right place. It would instead be an ideal supper and tea time place instead. 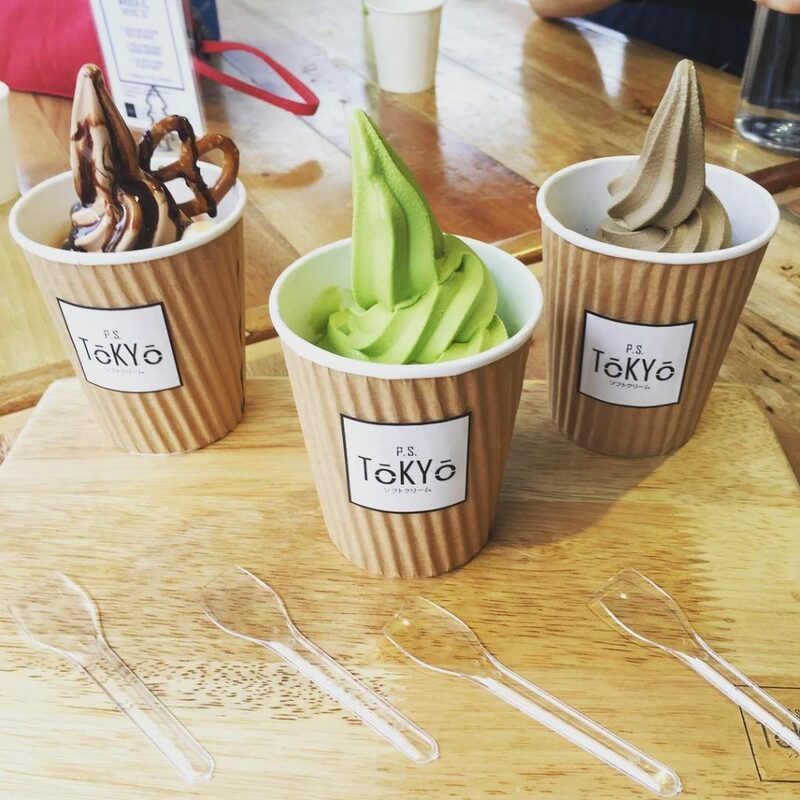 The soft serves come in 3 different flavours of Black Sesame, Milk and Matcha. Besides that, their tofu cakes are pretty decent for anyone that wants to try a cake which is significantly lesser in calories than an ordinary cream cake. 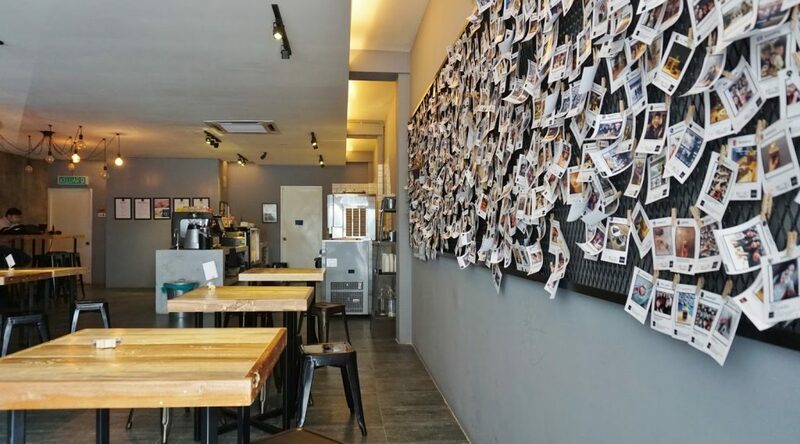 The simple and white background at The Augmented Café would make its black counter top pop out more. Even though Augmented Café serves decent coffees, their main meals are definitely something worth trying. 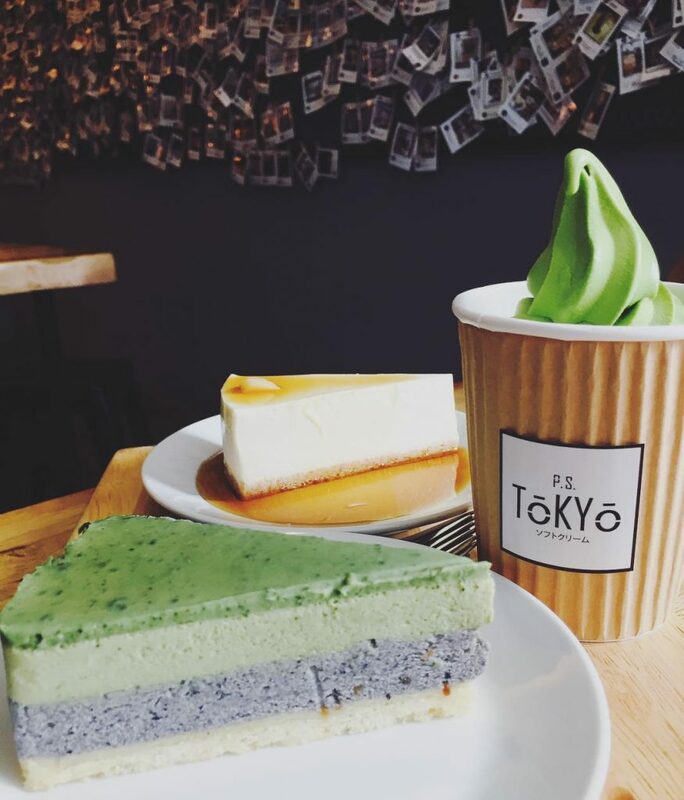 For something sweet, their housemade Matcha Cheesecake should something you should look forward to especially making it from scratch. 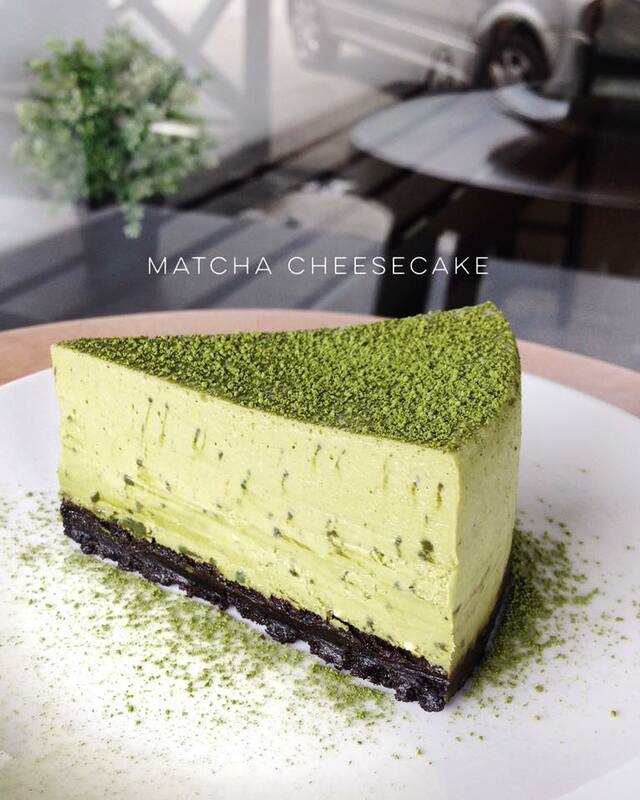 With the generous amount matcha coated around the cake, the matcha lover will love it. 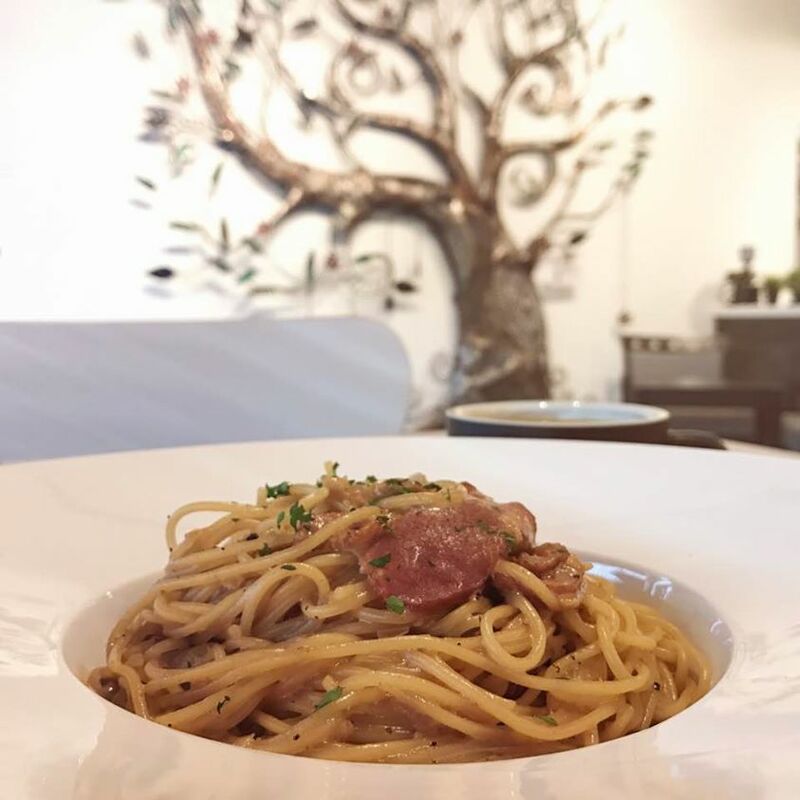 Besides that, if you are up for something savoury and sweet, their Sweetened Creamy Duck Pasta will tantalize your taste buds soon. True to its name, Retro Kitchen features a truly classic and retro vibe complete with decors reminiscent to the 70s. 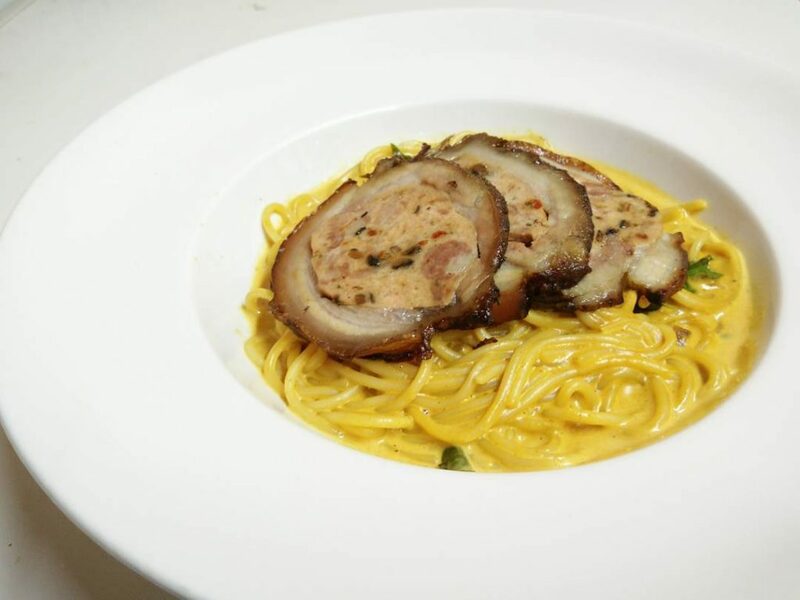 They have plenty of meals that you can choose from but a recommended one would be the Smoked Stuffed Pork Belly with Curry Pasta. It is something different and the meat complements the creamy curry well. 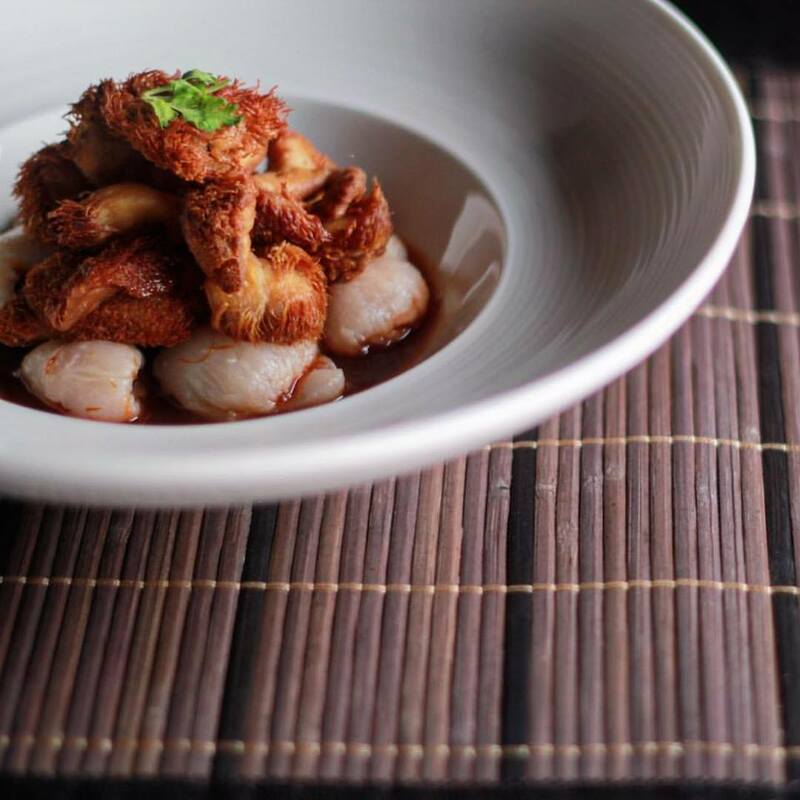 Not only that, if you enjoy spicy and smoky flavours, this dish should be on your to-eat list. 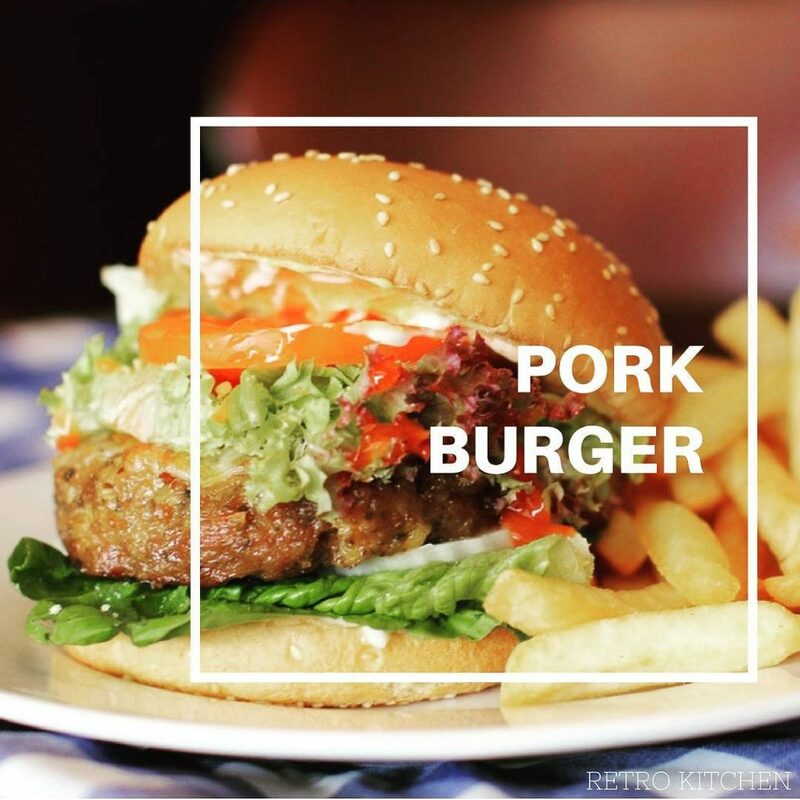 If you prefer American style dishes, their juicy Pork Burger would be ideal for any meat lovers out there. Did you know that the GO Thai culinary team is operated by Thai housewives, mothers, farmers and street hawkers from villages off Nakhon Ratchasima (Korat)? 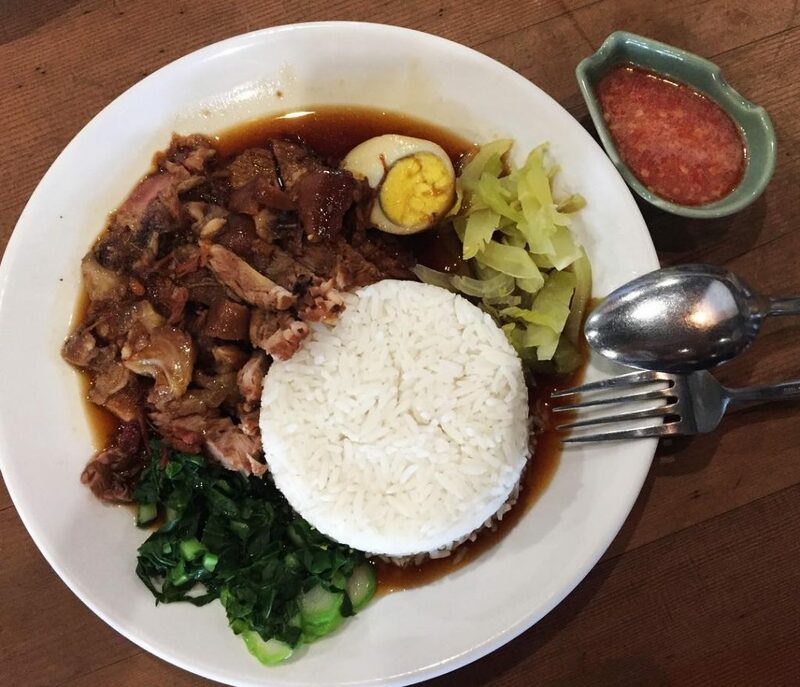 For main meals, opt to try the Khao Kha Moo which is tender stewed pork knuckle with rice. If you love sauce on your rice which is not spicy at all, Khao Kha Moo would be an ideal meal. The Thap Thim Krop is the perfect dessert to end your meal with. 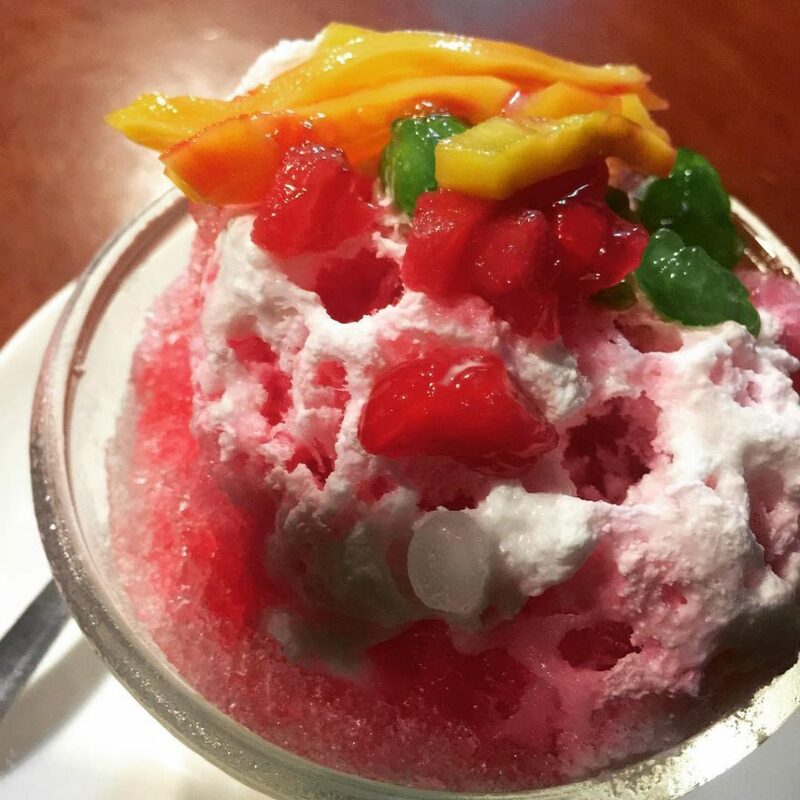 It is an ice-shaved dessert that uses plenty of pink syrup and ‘red rubies’ for an extra crunch.